Fantasia 2018: Official Poster Reveal - And The First Two Titles! Check out the official poster and the first two titles for Fantasia International Film Festival 2018. 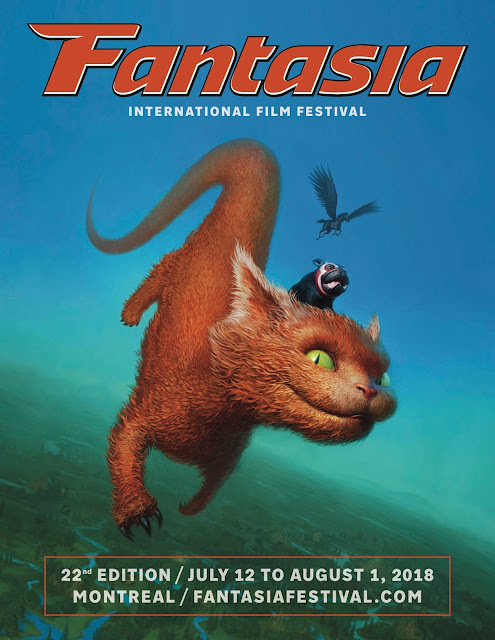 The Fantasia International Film Festival returns to Concordia University, The Cinémathèque Québécoise, and The McCord Museum from July 12 to August 1, 2018, to celebrate its 22nd edition. Talented Montreal illustrator Donald Caron, who has crafted emblematic imagery for the event since 2011, has designed a whimsical new original poster for the festival’s 2018 edition.